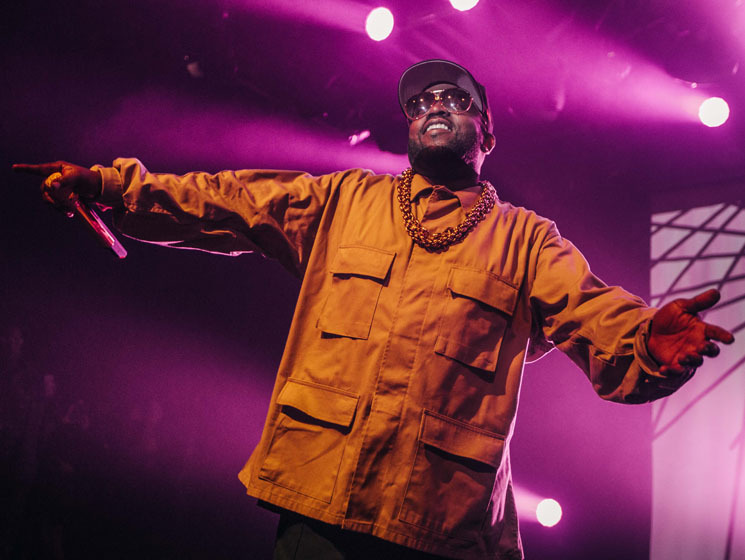 The NFL's decision to book Maroon 5 for the upcoming Super Bowl LIII halftime show in Atlanta left a lot of people confused and disappointed, and now in addition to the addition of Travis Scott, the league has officially tacked on Big Boi to the bill. It makes sense, given that Outkast are largely considered one of Atlanta's best hip-hop exports — even if it is a little late and only one half of the duo. Unfortunately, Ludacris still has not been invited to perform, despite countering the announcement of Maroon 5 by posting a photo of himself in an Atlanta Falcons jersey. In recent years, Rihanna, JAY-Z and El-P of Run the Jewels have all denounced affiliations with the NFL and the Super Bowl in support of Colin Kaepernick's kneeling-during-the-national-anthem protests of racial inequality in America. Super Bowl LIII will air on February 3.